What happens if he snagged a big fish? 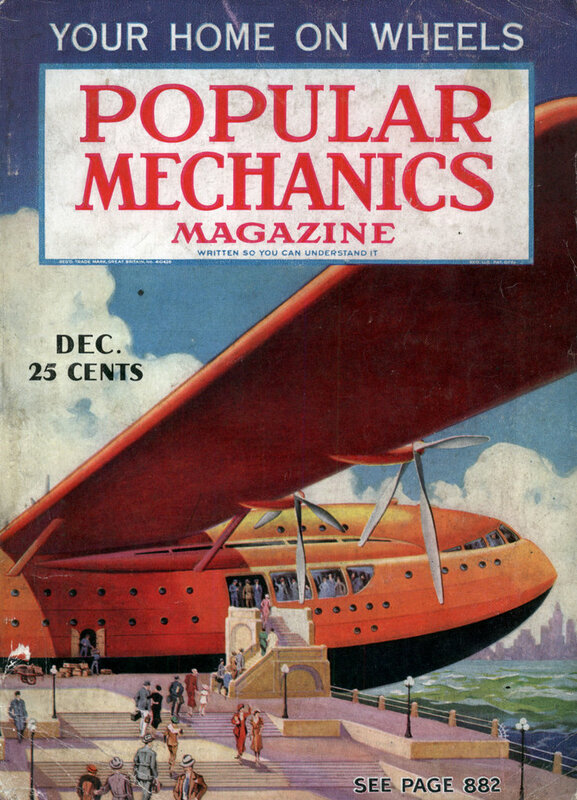 The center of gravity on that boat seems awfully high. 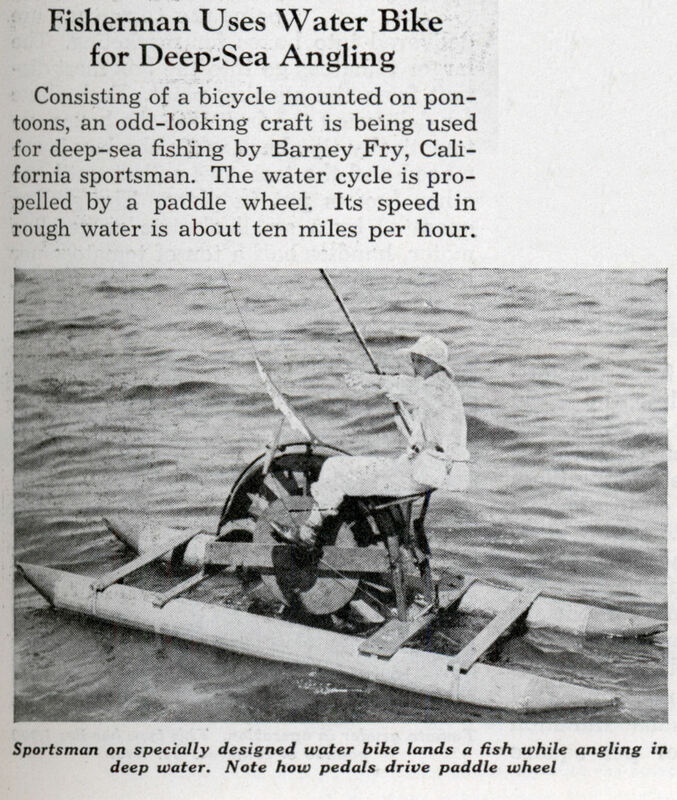 Consisting of a bicycle mounted on pontoons, an odd-looking craft is being used for deep-sea fishing by Barney Fry, California sportsman. The water cycle is propelled by a paddle wheel. Its speed in rough water is about ten miles per hour.